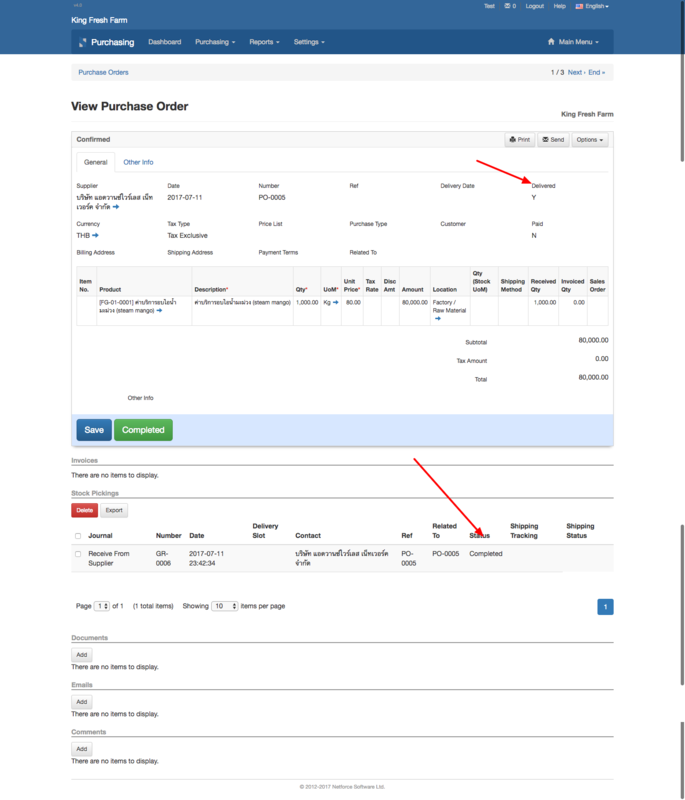 To receive products from supplier on the mobile app, start by creating a purchase order. 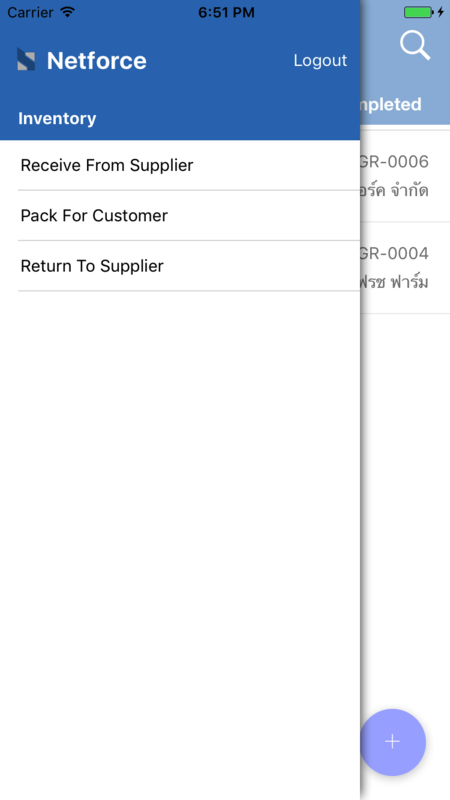 When the products are delivered at the warehouse, press on the "Receive From Supplier" menu item in the mobile app. From the list of planned goods receipts, select the one for which products have been delivered. 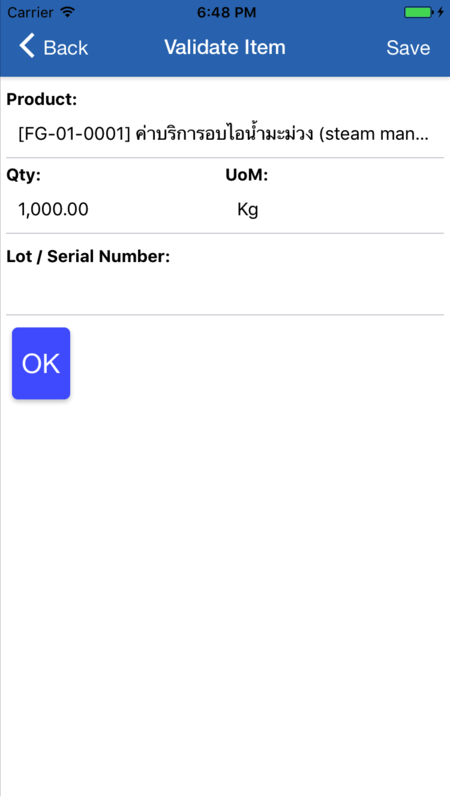 Press on the "QC Check" button to record QC results for delivered products. 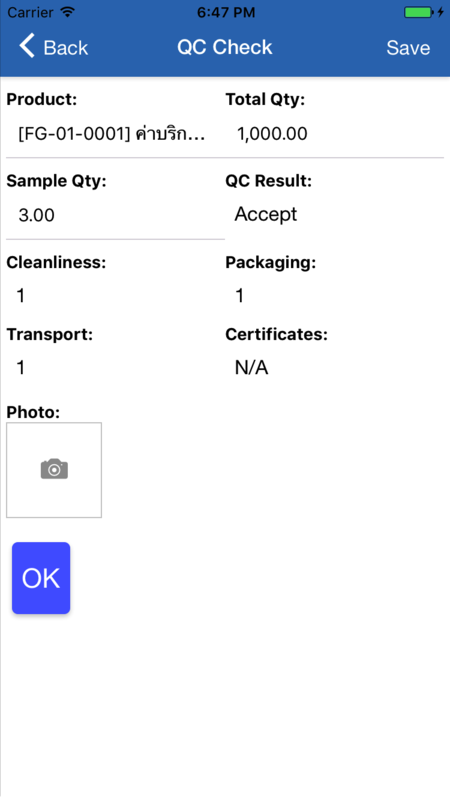 In the QC form, enter the details of the different QC test results and press "OK". The list of QC results will appear below. 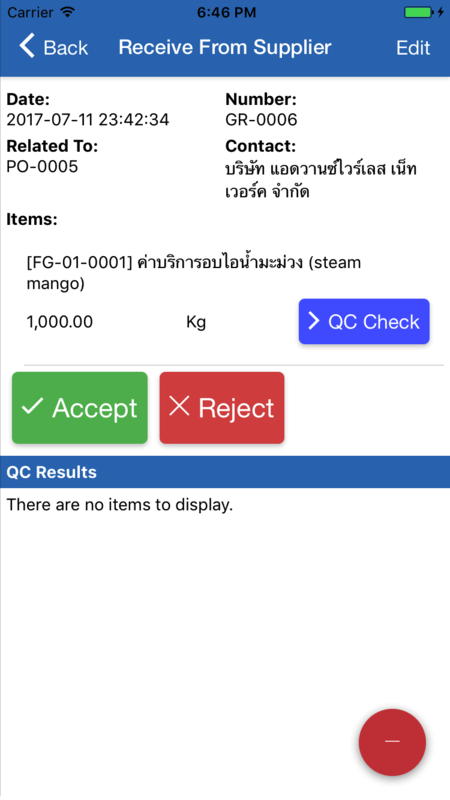 Click on "Accept" to accept delivery of the products or "Reject" to reject the delivery if it fails QC. 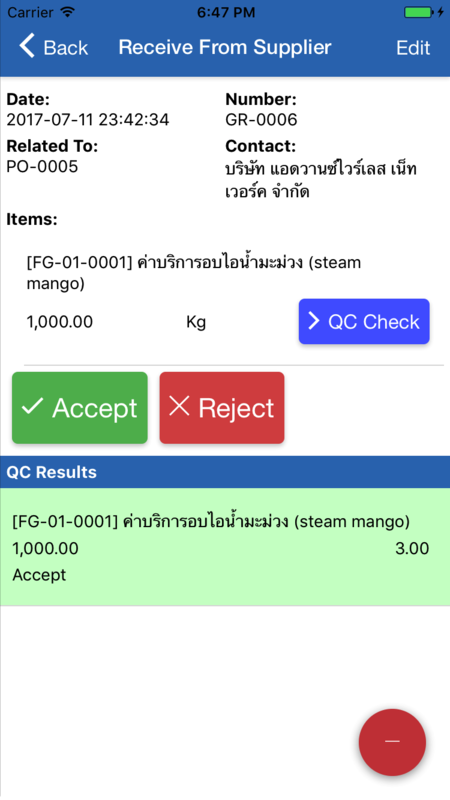 After the products pass QC, the goods receipt will appear in the "QC Checked" tab. Press on the goods receipt from the list to validate the reception of the products in stock. 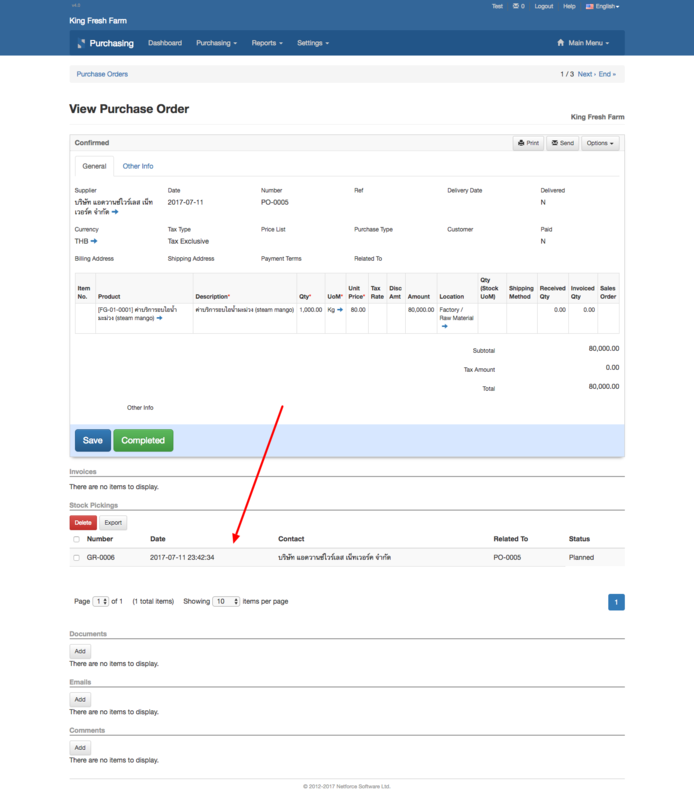 Click on the blue "Validate" button in the item list to validate the qty of received products. In the validate form, enter the actual qty received in the "Qty" field and press "OK". The list of validated product quantities will appear below. 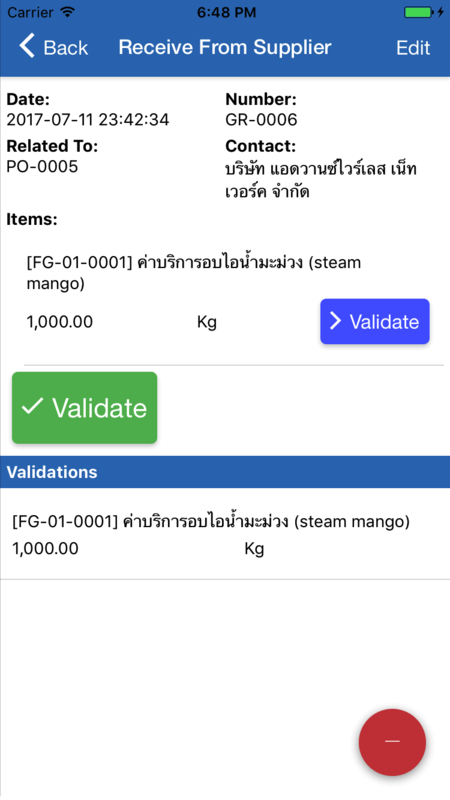 Click on the big green "Validate" button to finish validating the goods receipt. 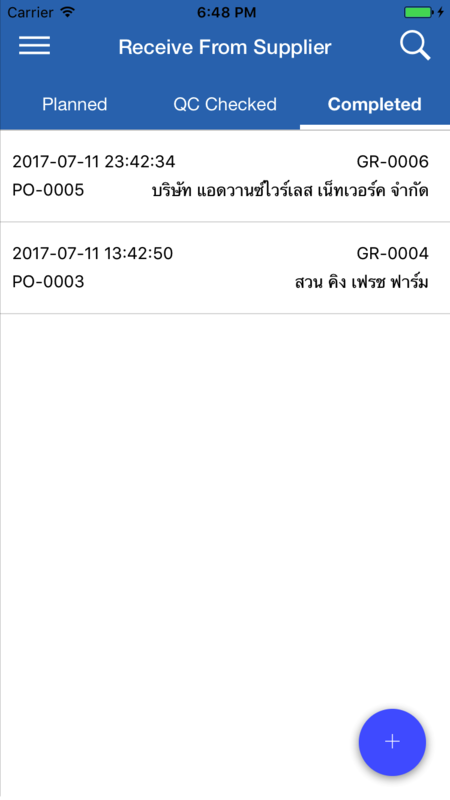 After the goods receipt is validated, it will appear in the "Completed" tab and the physical stock balances are updated. 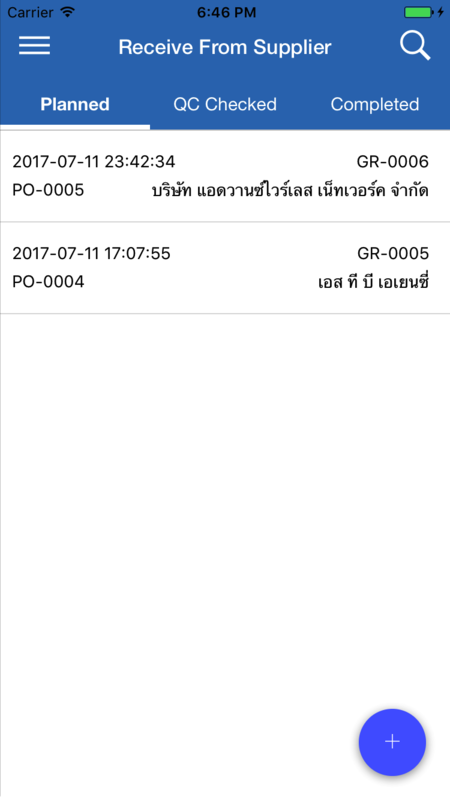 The original PO form is updated after goods are received.